If your dentures are broken, everyday tasks may become trying and arduous. If you can’t chew, swallow, or eat properly, the situation calls for emergency care. Depending on how damaged your dentures are, Dr. Ginger Hansen may need to send out a mold of your mouth in order to have the manufacturer make a new pair. On the other hand, if the dentures are not damaged too badly, then we may be able to fix them in-house. If you're having problems with your dentures, you should give us a call as soon as possible. From chipped and cracked teeth to lost fillings and broken dentures, dental emergencies come in all shapes and sizes. Emergencies are unexpected, but we want you to know that treatment is available, day or night. When your dental health is at risk, we are here to help. In the case of a dental emergency, don't wait; contact our Vista, CA office at your earliest convenience. People have been ushering in the New Year for centuries but it became an official holiday in 1582 when Pope George XIII declared January 1st to be the day on which everyone would celebrate the New Year. At midnight people would yell, holler, and blow horns to scare away the evil spirits of the previous year so the New Year would be joyous and filled with opportunity. Nearly 500 years later, we still greet the New Year by whooping and hollering, but in a celebratory manner instead. Whether you intend to ring in the New Year quietly at home in the Vista, CA area or have plans to join the countdown at a gala extravaganza, these tips can help you ring out the old and usher in the new with a smile. 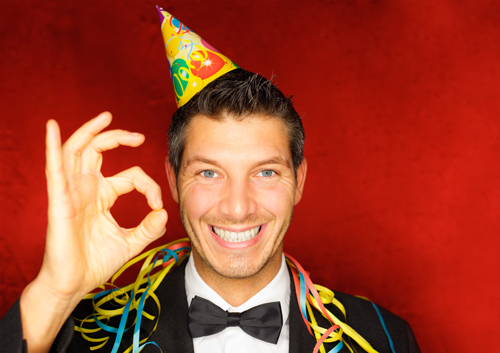 Tips for a Happy New Year's Eve Celebration from Ginger Hansen, D.D.S. New Year's Eve is a time to gather with friends and family, reflect on the year that's coming to an end, and look forward to the new one with anticipation. Enjoy this transitional holiday in a way that's safe, healthy, and fun. After all, counting down until the clock strikes 12 marks the beginning of a full year of opportunity ahead of you. From Dr. Ginger Hansen, have a great new year!. Consider what your needs are, and then customize your wants to fit into the equation. 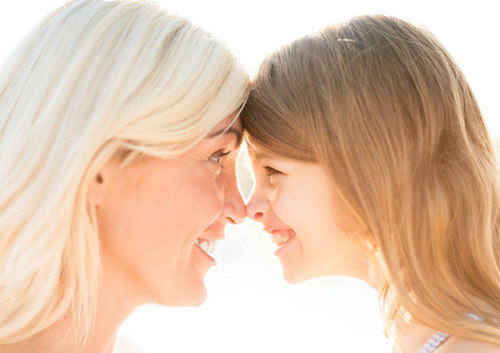 A little stability from implants, protection from a bite guard, and a brilliant smile may be just what the doctor ordered. And if you have any questions, don’t hesitate to call our office, Ginger Hansen, D.D.S..
Getting a cavity seems like delayed punishment for eating that special dessert every weekend or for the few days you forgot to floss. 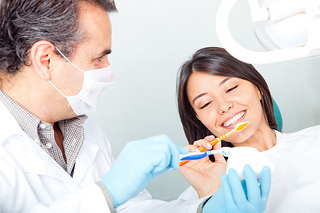 When you are doing everything right with minimal exception and a cavity is diagnosed, it is discouraging. Knowing how cavities form and what causes them is valuable in knowing how to prevent them. In this blog post, Dr. Ginger Hansen will help you understand cavities! For more helpful tips about how to avoid cavities, contact our Vista, CA office.